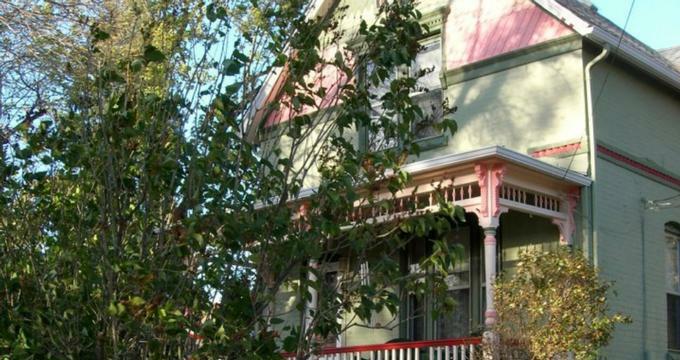 The Silk Pincushion is a lovely Victorian bed and breakfast in the heart of Golden, CO, that promises an unforgettable stay. 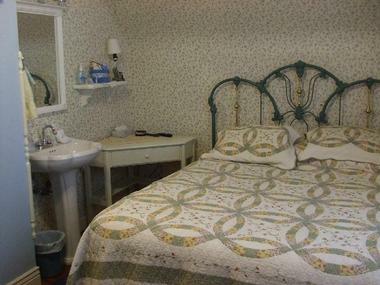 Three beautifully decorated Victorian-style guest rooms exude luxury and charm with large beds dressed in homemade quilts, private bathrooms with showers, deluxe toiletries and soaps and other modern amenities such as free wireless Internet throughout the house. Homemade breakfast is served each morning in the bright and sunny dining room, where you relax over freshly brewed coffee. The Silk Pincushion in Colorado features five beautifully decorated Victorian-style guest rooms that exude luxury and charm. Each room has a comfortable bed dressed in homemade quilts and fine linens, en-suite bathrooms with showers, plush towels, and deluxe toiletries, and other modern amenities such as complimentary wireless Internet access and air-conditioning in the summer months. 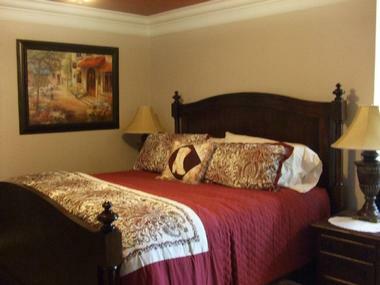 Rooms are also stocked with complimentary bottled water. The Blue Room is located on the upper level of the house and is flooded with natural light through large windows. Elegant original oak flooring adds vintage appeal to the queen-size bed with antique headboard and the beautiful Victorian dresser. An en-suite bathroom has a walk-in shower, modern vanity, plush towels, and deluxe toiletries, and modern conveniences include a flat-screen television with cable channels and a DVD player, an alarm clock, ceiling fan, hairdryer, free bottled water and complimentary wireless Internet access. The Lavender Room exudes Victorian luxury with beautiful original oak flooring, a queen sized sleigh bed dressed in luxury linens, and an en-suite bathroom has a walk-in shower, modern vanity, plush towels, and deluxe toiletries. Large windows embrace beautiful mountain views, and modern conveniences include a flat-screen television with cable channels and a DVD player, an alarm clock, ceiling fan, hairdryer, free bottled water and complimentary wireless Internet access. The Green Room offers a slightly more modern ambiance with wall-to-wall carpeting, a brass queen-sized sleigh bed dressed in luxury linens, and an en-suite bathroom has a walk-in shower, and soaking bathtub, modern vanity, plush towels, and deluxe toiletries. Modern conveniences include a flat-screen television with cable channels and a DVD player, an alarm clock, ceiling fan, hairdryer, free bottled water and complimentary wireless Internet access. Separate from the main house, the Carriage House suite is available for guests wanting extra privacy or staying for longer than a weekend and features a private entrance and fully equipped kitchenette with microwave, fridge, and Keurig coffee maker. Skylights offer the queen bedroom lovely views, and an en-suite bathroom has a walk-in shower, and soaking bathtub, modern vanity, plush towels, and deluxe toiletries. An extra roll-away bed is available for additional guests, and modern amenities include a flat-screen television with cable channels and a DVD player, an alarm clock, ceiling fan, air-conditioning, hairdryer, free bottled water and complimentary wireless Internet access. The newly renovated Queen Anne suite sits off the main house with a private entrance on the ground floor and features a king-size bed dressed in luxury linens, a separate love seat sofa bed for additional guests and a romantic gas fireplace. An en-suite bathroom has a walk-in shower, and soaking bathtub, modern vanity, plush towels, and deluxe toiletries, and modern conveniences include a flat-screen television with cable channels and a DVD player, Keurig coffee maker, microwave, alarm clock, ceiling fan, hairdryer, free bottled water and complimentary wireless Internet access. Every morning a sumptuous continental breakfast is served in the sunny dining room. The delicious continental breakfast buffet features cereals and oatmeal, baked goods and pastries, cheese and homemade jam, egg dishes, fresh fruit platters and squeezed juices, organic teas, and freshly roasted coffee. 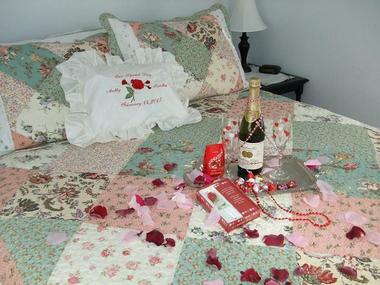 Amenities and special guest services include a complimentary gourmet breakfast served every morning, an evening turndown service with rose petals sprinkled across the bed with a beautiful silver platter filled with chocolates and sparkling cider. A souvenir embroidered pillow for special occasions can be arranged on request. Guests have the freedom to come and go via a keypad code to the house and can enjoy the plethora of things to see and do in Golden on their own. 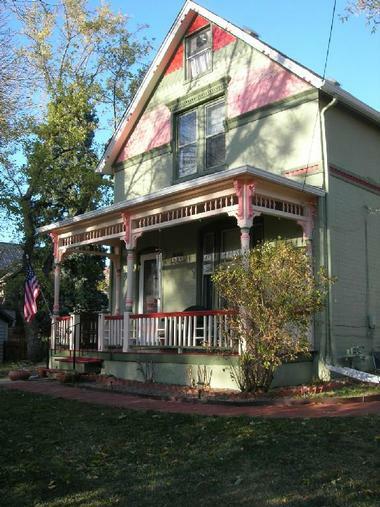 The Silk Pincushion is within easy walking distance of Downtown Golden with a variety of museums, galleries, shops and restaurants to explore. The Golden Gate Canyon National Park and Red Rocks National Park are also close by.